(Looks left, looks right) Uh where have you been all my life??? Okay stop me if you heard this one before: an orphan girl and her boy best friend are attacked when the magical powers she has been hiding are displayed so that she can rescue her friend. Total cliché. BUT Cluess weaves such an interesting tale that this was unputdownable and so much of this was original that I am okay with the cliché beginning. But I am getting ahead of myself. A Shadow Bright and Burning grabbed me like nothing has in a while. I totally stayed up wayyyyy pass my bedtime last night to finish it. Henrietta is amazing, ballsy, clever, and imperfect. It is set up in Victorian-era England so of course she is surrounded by dashing young men, which could be total cliché but Cluess does an excellent job of making it interesting. I don’t want to give too much away but not everyone is happy that the chosen one has been found and sexism is alive and well in Victorian England. And to be honest, I don’t seen Young Adult deal with that enough. It was a refreshing change of pace. Over all, the cast of characters is interesting and multidimensional. A Shadow Bright and Burning isn’t perfect. There were sections that did drag a bit, but for 95% of the time I was captivated. I loved the world building and all of the magic. I enthusiastically await book two in the series. Although I’m pretty sure the wait is gonna kill me. A Shadow Bright and Burning came out today, September 20, 2016. 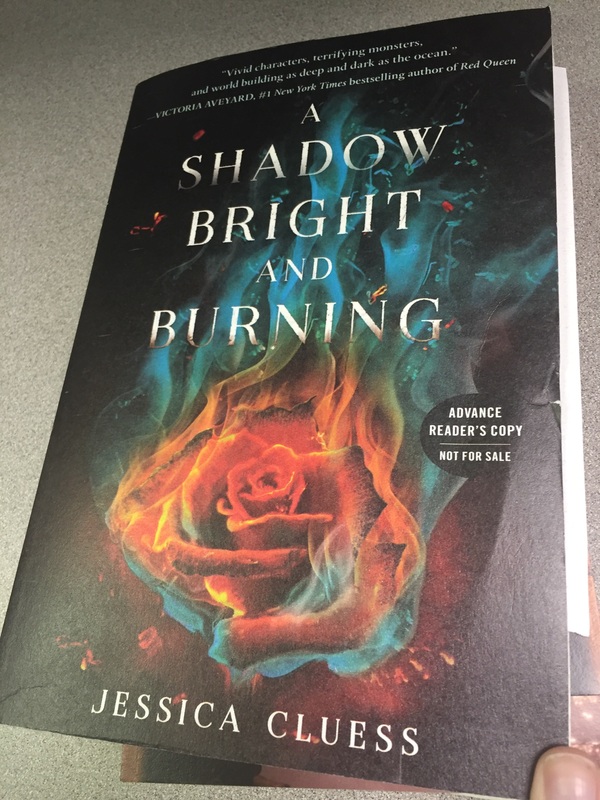 This entry was posted in Magic, Monsters, Young Adult and tagged A Shadow Bright and Burning, Jessica Cluess, Kingdom on Fire #1, magic, Young Adult. Bookmark the permalink.